In the months leading up to Mexico´s elections hundreds of fake twitter accounts controlled by a computer program, automatically posted thousands of messages in support of Mexican president Enrique Peña Nieto, who was then the presidential candidate for the PRI. 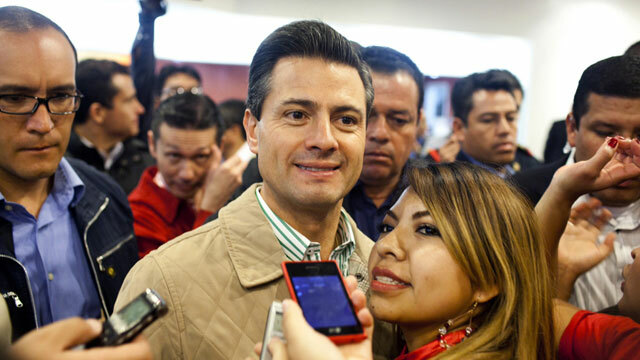 Peña Nieto´s party, the PRI, said it had no relation to these fake accounts. We've covered many stories this year that show how those in Latin America can use social media for a good cause. For example, it was inspiring to see how students in Mexico used Twitter to organize protests against media monopolies. Yet, despite their generally democratic nature, social media sites can also be used to trick people into believing something that is not true. Also, in some cases, politicos just flat out forget they're public figures while on them. In Latin America both have happened more than a handful of times this year. Here are some of the most memorable. Two major scandals broke out in Latin America this year, in which hundreds of fake Twitter accounts, bombarded social media users with messages in favor of certain politicians. The first case occurred in Argentina and it was linked to President Cristina Kirchner. According to investigative journalist Jorge Lanata, Kirchner's aides created at least 400 Twitter accounts that were disguised as the accounts of regular citizens. But these accounts, run by a computer program, simultaneously posted hundreds of messages in favor of Kirchner's decisions, and also launched aggressive attacks against journalists who disapproved of her government. Lanata uncovered this network of Twitter bots, after he found that several Twitter accounts simultaneously published messages discrediting his weekly news program. According to Lanata, these accounts used profile pictures of actors and academics from as far away as Italy, but under different names. They had very few followers, but dozens of tweets per day and only posted messages related to Cristina Kirchner and Argentine politics. The second attack by Twitter bots took place in Mexico, just two months before that country's presidential election. As ABC/Univision pointed out in May, at least 350 accounts of dubious credentials posted identical messages, hundreds of times per day in favor of Enrique Peña Nieto the presidential candidate for the Institutional Revolutionary Party, and now the new President of Mexico. Many of these accounts fell silent once the scheme was revealed. Several techies this year have tried to investigate whether politicians' Twitter followers are real people or accounts created by programmers for the sole purpose of following politicians and making them look like they're very well liked on social media sites. In Ecuador, a programmer that goes by the name of Ivan Stalyn ran a program on Latin American political leaders' Twitter followers. His findings suggest that 73 percent of Hugo Chavez's two million followers could be bots. According to Ivan Stalyn, 58 percent of Ecuadorean President Rafael Correa's followers could be fake as well. This scheme involves using bots to jam messages that may favor a political rival. It was implemented in June of 2012, when hundreds of bots that favored Mexican presidential candidate Enrique Peña Nieto, flooded Twitter with messages that mentioned hashtags related to Peña Nieto's main rival, Andres Manuel Lopez Obrador. By posting thousands of Lopez Obrador messages every hour, these accounts were attempting to fool Twitter into thinking that information related to Lopez Obrador was spam, thereby preventing Lopez Obrador information from reaching Twitter's coveted trending topics list. Should a politician come under criticism for using Twitter too much? That's the question that came up in Colombia in early March, after Bogota mayor Gustavo Petro fired an impressive 233 tweets in just 17 hours from his personal account. That's roughly a tweet every four minutes, according to news magazine Semana. Petro's Twitter-record occurred on a day in which the city government was trying to diffuse protests that paralyzed Bogota's public transportation system. And Petro was updating people on how the situation unfurled on the ground. But according to Semana, Bogota's mayor spends a lot of time on the social media site, averaging more than 90 tweets on an average day. Petro's opponents wonder if the mayor has any time left in the day to carry out his regular duties with all the Twitter action taking place on his phone. They also claim that Petro is taking decisions on the whim, based on what Twitter users think about the city´s problems. But mayor Petro says that he is trying to directly communicate with citizens, instead of going through "indirect" channels like newspapers or TV. When a Twitter user told him to get off Twitter and start solving the city's problems, the mayor responded with a tweet of his own. "I'm working, are you?" Petro wrote. Some political leaders are not the most clever when it comes to social media, and instead end up embarrassing themselves on these sites. This year, one of the winners in this category was Mauricio Benitez, a political activist for Cristina Kirchner's Peronist Party in Buenos Aires. Benitez somehow found himself a spot on an Argentine trade delegation to Angola. What did he do in the African nation? Well, he posted a picture of himself on his Facebook account where he is happily handing out socks with political propaganda to needy African kids. The picture went viral, angering Argentine citizens who could not understand why a low-level official like Benitez was taking a free trip to Angola and handing out socks that say that Clarin, the paper that most fiercely opposes the Kirchner government, is full of "lies." Of course, when it comes to insulting the citizens of an entire nation it's difficult to beat Hugo Chavez's daughter Rosines, who posted this picture of herself on her instagram account. 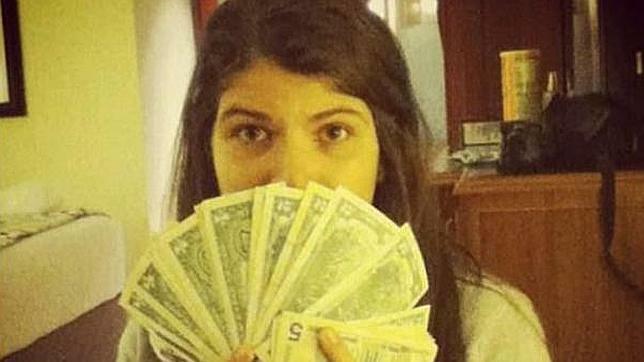 Seeing Rosines,15, fanning a stack of U.S. dollars as if this was a totally normal part of her existence did not go down well with Venezuelans. That's because Venezuelans have to surpass all sorts of obstacles, and pay exorbitant amounts to trade local currency for greenbacks, thanks to Hugo Chavez's tough foreign exchange controls.